Q: We’re remodeling our bathroom and getting the lighting right is extremely important. How do we get good lighting for all those tasks like shaving and applying makeup, but not harsh lighting or heavy lighting where we don’t need it? Any solutions? Lighting a bathroom properly is very important. It is where we make ourselves look our best to start the day. There are several ways you can go about remodeling a bathroom for the best results. Preferences, taste and individual style are different from person to person. The light levels and temperatures we need are different, and the color of light we like is different. One style, combination of brightness and décor will not satisfy all. Much of your lighting decision depends on how drastic of a change you are looking for. If you want to complete a simple update using your existing electrical plan, replacing fixtures and repainting walls can make a big difference. Alternatively, you can relocate electrical boxes and add lighting to create an entirely different look and feel. 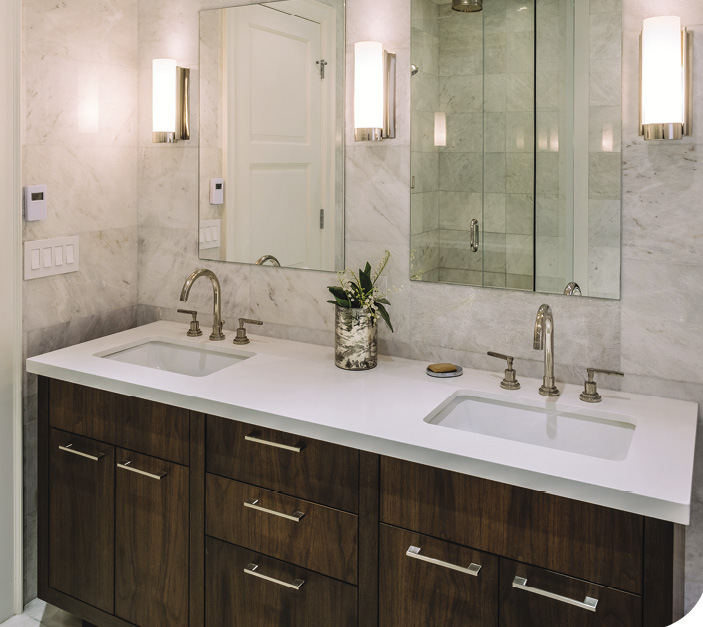 When lighting a bathroom mirror, you can use vanity lights, pendants, wall sconces or recessed cans. Each has a different style and casts light in a different manner. • When wall space is limited on either side of the mirror, pendants add a nice touch. They are small glass lights that hang from the ceiling by a single cord, rod or chain. • Wall sconces can be placed about halfway down the wall. A taller five-inch-wide fixture usually works best. Vanity lights can be used over the mirror directing light up or down. I prefer the light to go up, as it gives you a pleasant ambient light. • Recessed cans over the mirror or in the ceiling behind reduce shadows. When using LED lighting, I recommend the 2700 Kelvin color, since it’s a warmer light, similar to an incandescent, which most people are used to. Finally, using different switches and dimmers can help you accomplish adjusting light levels for each individual need. 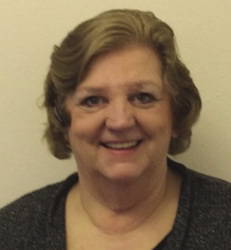 Pat Tomlinson has been committed to helping people light their homes since 1990. You can find her at The Lighting Gallery by Browns, brownselectric.com.